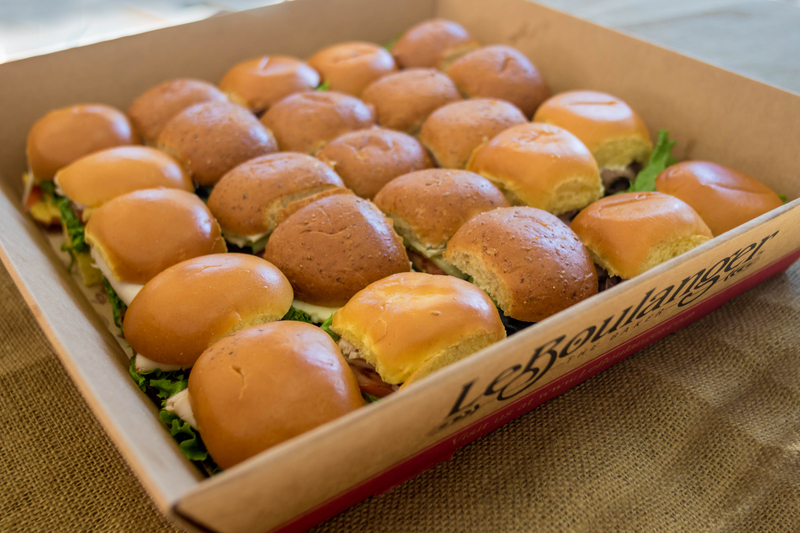 Our sandwich tray allows you to type in the number of overall sandwiches you would like and then select the sandwiches you would like based on the needs of your group. Onions not served on any of our catering sandwiches. Our sandwich tray allows you to add the number of sandwiches you would like and then select each sandwich based on the needs of your group. 1 Sandwich per person. 10 minimum. Slider are offered as ham, roast beef, turkey and vegetarian and/or Tuna.